Proposed regulatory changes are important to the advisor community, a symposium held by Advocis, the Financial Advisors Association of Canada, was told. Serious tweaks need to be made to client-focused reforms proposed by the Canadian Securities Administrators (CSA), industry leaders said recently at the annual symposium of Advocis, the Financial Advisors Association of Canada. The CSA, an umbrella group for provincial securities watchdogs, proposed changes on Sept. 13 that would, among other things, prohibit early withdrawal fees for mutual funds, known as deferred sales charges (DSCs), as well as implement higher standards for conflict-of-interest, know-your-product (KYP) and know-your-client (KYC) requirements. The goal of the reforms is to improve outcomes for retail investors, better align the interests of dealers, portfolio managers and their representatives with those of their clients and clarify the terms of their relationship. 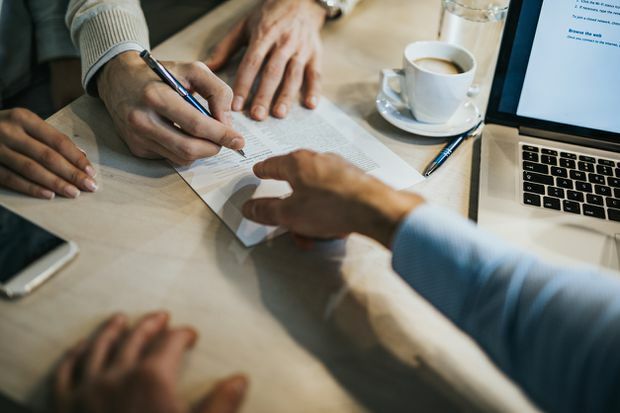 They're a response to rising concerns expressed in CSA-led consultations that clients are not meeting their investing goals. This is due to factors such as clients' misplaced reliance on financial professionals, conflicts of interest that affect recommendations made, and inadequate KYC information collection, said Debra Foubert, director of compliance and registrant regulation at the Ontario Securities Commission, who was part of a three-person panel discussion on the topic at the Advocis symposium in Toronto. However, if the reforms are implemented, the result will be anything but commercially viable, said Ms. Foubert’s co-panelist, Dennis Tew, head of national sales at Franklin Templeton Investments Canada. “They’ve thrown in this last round of reforms with very little thought put into the business consequences of what they are suggesting,” he said. Almost half of the e-mails sent out to the 26,000 advisors at Franklin Templeton Investments Canada on the proposed regulatory changes were opened, which shows how important these topics are to the advisor community, said Franklin president and CEO Duane Green in his opening remarks to the symposium. The e-mails focused specifically on the proposed banning of embedded commissions, mutual fund fee reform and client-focused reforms – which many in the industry believe are completely off the mark. Mr. Tew said, “I go across the country talking to advisors, almost on a daily basis. And I think there’s a general feeling in the industry that these reforms are a significant regulatory response to a somewhat poorly defined problem. I’m concerned that we are regulating to the lowest common denominator, the unsophisticated, vulnerable investor. That’s a good thing, but it’s not a one-size-fits-all situation." The CSA found that currently advisors are not doing enough to uphold the suitability standard for their clients, which means they must be able to demonstrate why the investments they recommend are a good fit for the client’s unique goals, risk tolerance, personal and financial circumstances – in other words, to practise KYP and KYC. But the costs of complying with more stringent KYP and KYC reforms will be difficult for investment dealers to manage, particularly for independent firms forced to find operating efficiencies elsewhere. The outcome, Mr. Tew said, will be a move from a full-service model to a more specialized wealth-management product shelf that will be insufficient for meeting the unique needs of more sophisticated investors. The best way for Canadians to achieve their financial objectives is to have access to a variety of investment products and professional financial advice, Mr. Tew said. While putting forward a policy position that’s reflective of their diverse memberships is a challenge, associations play a valuable role in not only the developing of policies but also in their administration after the fact. Recently Advocis, with more than 13,000 members in 40 chapters across the country, led the charge in pushing back against the banning of embedded commissions proposed by the CSA, in favour of consumers being able to choose how they wished to pay for their financial advice. Deferred sales charges can cost clients as much as 6 per cent to cash out their mutual funds, a fee that typically falls by one percentage point each year, down to 0 per cent, after five to seven years. However, some in the industry believe DSC funds help smaller investors gain access to financial advice, as the model does not require an upfront payment. The association is also launching the new Professional Financial Advisor (PFA) designation next year to help newer financial advisors get a successful head start, as well as to address the lack of consistent regulatory oversight in the industry. Most Canadian retail investors have very low levels of financial literacy and therefore require high-calibre advice that is not compromised by conflicts of interest, said Neil Gross, president of Component Strategies Consulting, who was also a panelist at the Advocis symposium. “Survey after survey tells us that the investing public believe that this kind of advice is what their advisors are already required to provide them. That is what the investor expects,” Mr. Gross said. “If you’re in a business where you’re not meeting or exceeding your customers' expectations, then you’re probably not going to be in business very long. So, in terms of how you, as a community, look at these proposed reforms, I would hope that you will see them as being designed to align regulatory requirements and your business practices with your customer’s expectations. I would hope that you would feel comfortable in embracing these reforms rather than pushing back against them.